South Africa has one of the world's most diverse tourist offerings. Attractions range from stately Cape Town with majestic Table Mountain, to the scenic winelands around Stellenbosch and the world-renowned Kruger National Park and adjacent private reserves. With hundreds of different national parks and reserves, Africa's longest coastline and several of the region's oldest and most vibrant towns, visitors are often dazzled and confused by the array of options. 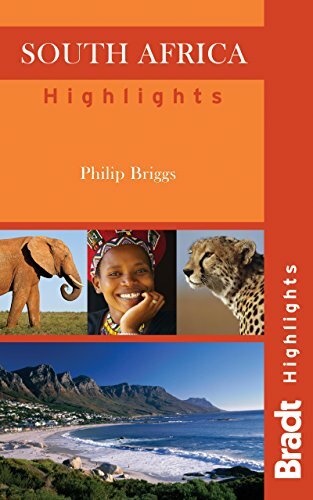 This compact Highlights guide, written by South African resident and travel expert Philip Briggs, focuses on the genuine 'must-see' sights, and will aid anyone planning their first trip to this magnificent country.